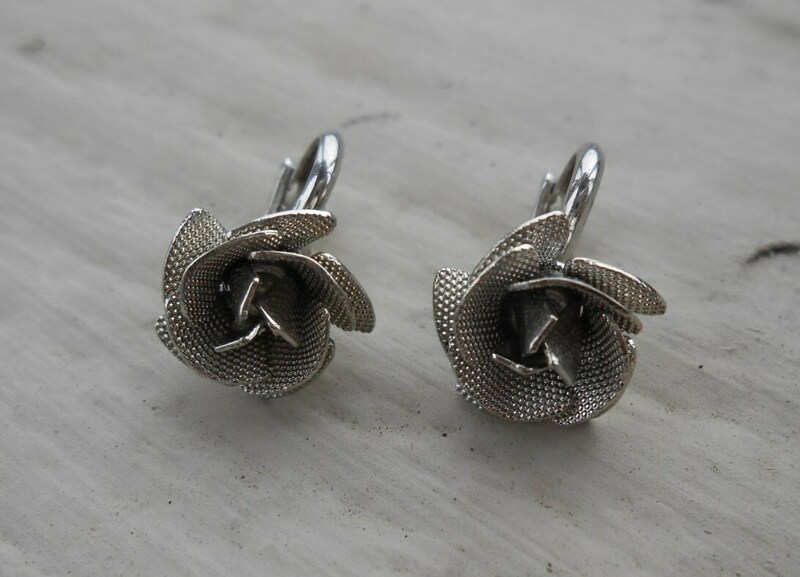 Vintage Rose Earrings. Clip On. Wedding, Mom, Anniversary, Gift. Flower. 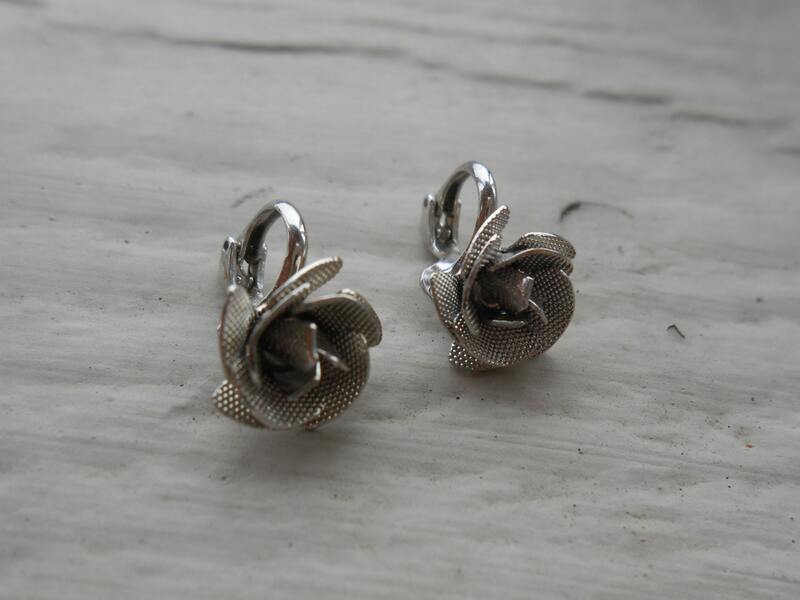 These vintage, clip-on earrings are gorgeous. 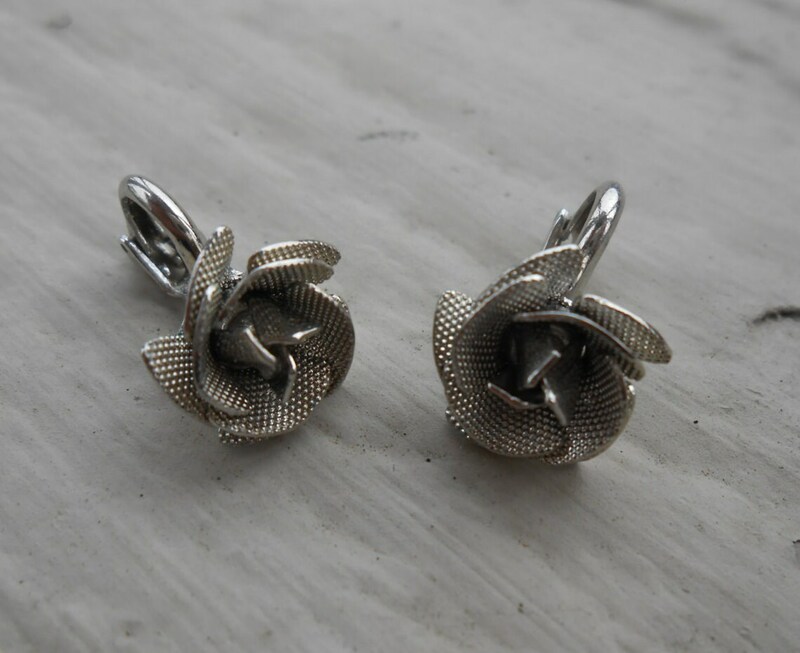 They are a shaped like a rose and are a silver color. These were made in the 1980s and are in good condition. They're very lightweight! 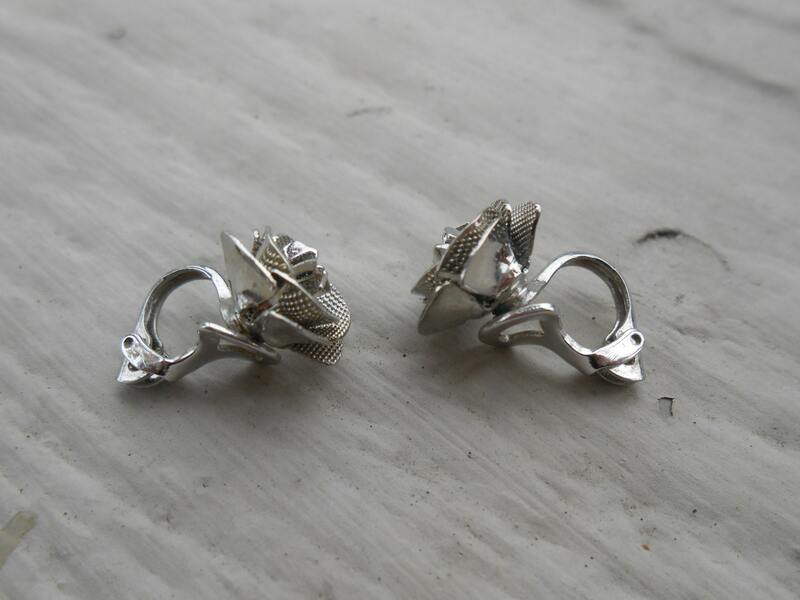 The earrings measure 7/8".